Muscular control of the thumb trapeziometacarpal joint: how to take advantage of the binomial First Dorsal Interosseous/Abductor Pollicis Longus? (3)(4)Institut Kaplan, Barcelona, Spain; (5) Hand and Foot Surgery Center, Stockholm, Sweden. A joint can be defined as stable when, subjected to physiological loads, it doesn’t dislocate nor damage the articular surfaces and/or the supporting soft tissues and doesn’t require extra work from the neuromuscular system to perform its tasks. The thumb trapeziometacarpal joint (CMC1) is an articulation that allows great degrees of mobility and stability during pinch and grip , although it is constitutionally unstable because of its saddle-shaped articulating surfaces. Its joint congruity depends on the action of restraining ligaments and 9 periarticular muscles; its joint stability highly depends on propioception which needs of the intact function of ligaments, a preserved joint innervation and a competent reflex control of periarticular muscles. CMC1 osteoarthritis (OA) affects 20-60% of women. 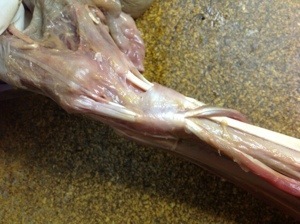 One of the described contributors to joint OA is a failure of joint stabilization. (2) to define a proprioceptive treatment aimed at preventing CMC1 instability through selective muscular control. tested in 7 different positions. Spatial positional variations experienced by the base of the first metacarpal (M1) were checked and registered with FasTrak System. Among the 9 muscles studied herein, the most active ones over the CMC1 joint are the First Dorsal Interosseous muscle (D1) and the Abductor Pollicis Longus muscle (APL). 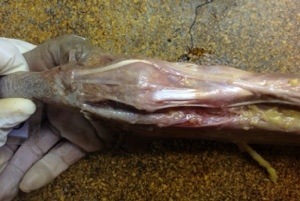 The upload of D1 modifies M1 position in the horizontal plane (ulnar translation) in 4/10 specimens and in the vertical plane (distal translation) in 8/10 specimens with an average of 1.18 mm. The upload of APL also modifies M1 position in the horizontal plane (radial translation) in 8/10 specimens and in the vertical plane (proximal migration) in 8/10 specimens with an average of 0,29mm. According to the previous definition of joint stability and to the above results we can postulate that the action of D1 stabilizes the CMC1 joint; it refocuses it and protects the articular surface as it widens it. Similarly, we can say that the action of APL destabilizes the CMC1 joint: it subluxes it radially and pinches its space. Painful thumb carpometacarpal joint ,without OA, and without great instability due to ligament injuries can be treated by neuromuscular balance and propioceptive stimulation. This treatment must be targeted to enhance D1 power and avoid APL maximal power. A better understanding of muscular control of the stability of painful CMC1 without OA improves existing treatments and introduces more specific prevention strategies base don propioception.